Google Drive, Docs, Sheets and Slides can be powerful business tools. 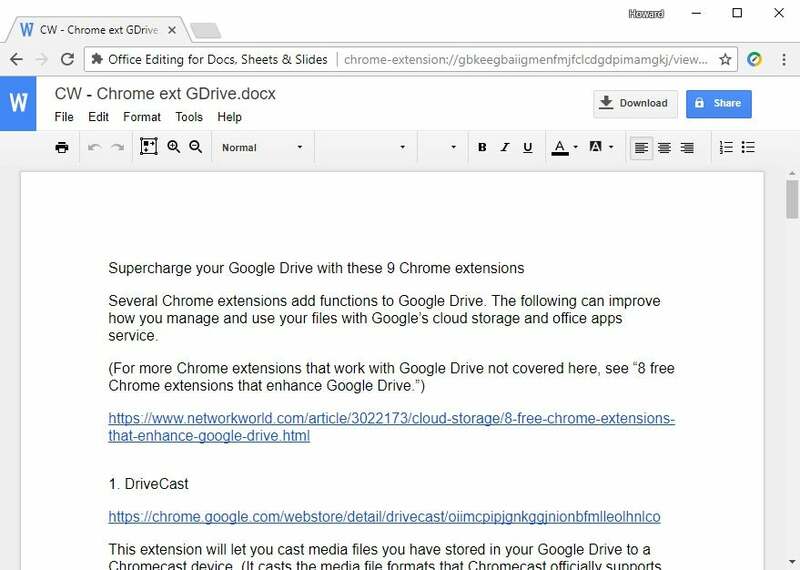 These extensions for the Chrome browser help you work smarter with Google Drive and its companion apps so you can get more done. Google Drive is useful all by itself, but a number of Chrome browser extensions add more functions to Google’s cloud storage and office apps service. 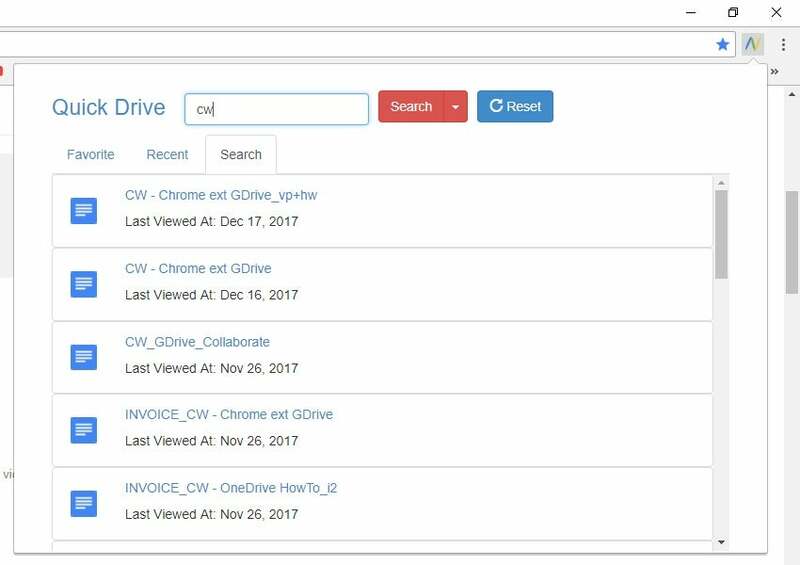 I covered several of these add-ons for Chrome in a previous article, “8 free Chrome extensions that enhance Google Drive.” Following is a fresh batch of Chrome extensions that can improve how you work with and manage files in Google Drive. 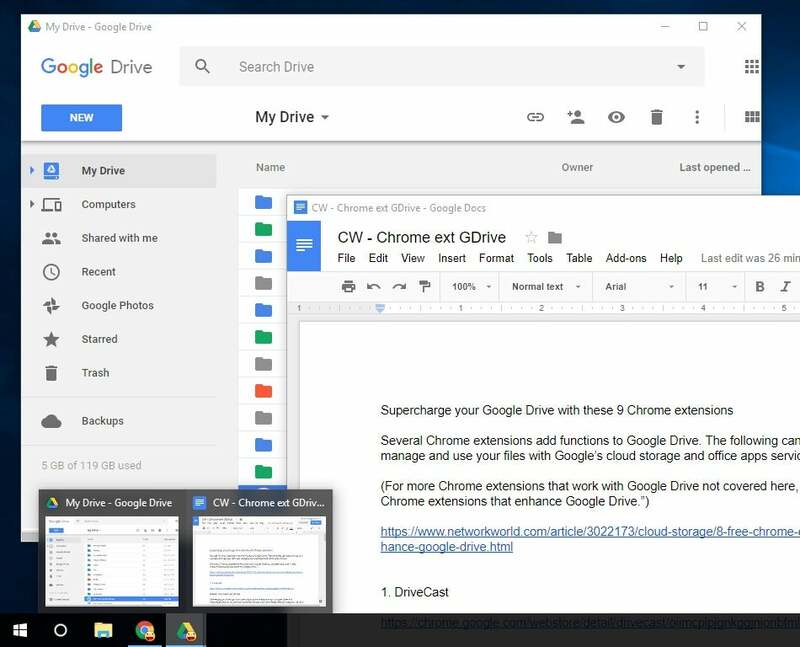 Svelte’s Drive Companion turns Google Drive into a virtual desktop application on Windows. Clicking the Drive Companion icon on the Chrome toolbar launches an application window with the main page of your Google Drive running inside it. Like an ordinary desktop application, its icon (or title bar) appears on the Windows taskbar, and its window frame can be resized. When you launch Google Docs, Sheets or Slides files from your Google Drive running in this application window, Drive Companion will open any of these apps in its own desktop application window, too. The same developer provides an extension that does the same thing specifically for Google Docs: Clicking the Docs Companion icon on the Chrome toolbar launches this word processor app in a desktop application window. Both extensions work on Macs as well, but with limited functionality: Clicking the icon on the Chrome toolbar launches Google Drive or Docs in a separate, resizable application window, but the icon does not appear in the macOS Dock; instead, the Drive or Docs application window appears as just another Chrome browser window in the Dock. Google’s Office Editing for Docs, Sheets & Slides extension is really useful if you work with Microsoft Office documents a lot but prefer to use Google’s Docs, Slides and Sheets apps. When you drag and drop a Word, PowerPoint or Excel file on your computer's drive onto a Chrome browser window, it will be loaded into the appropriate Google office app for you to edit. So a .doc/.docx file will open in Google Docs; .ppt/.pptx in Google Slides; .xls/.xlsx in Google Sheets. You can also open a Microsoft Office document in Chrome on Windows by pressing Ctrl-O and selecting the document from your computer's drive. Also, clicking a Microsoft Office document that is attached to an email in Gmail, on the web as a web link, or already in your Google Drive will load it into the corresponding Google office app. At a client meeting and need to call up a file quickly? You have a few options for searching for a file in your Google Drive without first having to visit the main page of your Google Drive account. In my previous article I covered the OmniDrive and Quick Search for Google Drive extensions, which let you search from the Chrome address bar. The Quick Drive extension from tearoom6 takes a different approach, letting you search your Google Drive via a pop-up panel. Click its icon on the Chrome toolbar to open it. In the panel that appears, enter the filename or keywords into the search box, and the results will appear below under the Search tab. Clicking the Recent tab will show you a list of your most recently viewed files. The Favorites tab lists those files that you've starred from the main Google Drive page. Click a filename that appears in any of these three tabs, and it will be opened in the appropriate Google app (Google Docs, Sheets or Slides) inside a new Chrome browser tab. A small caveat: As of this writing, the Quick Drive extension hasn't been updated in more than a year, but its code is open source and it still does its intended job well. This extension from cloudHQ works with your Gmail and Google Drive accounts together. Save Emails to Google Drive converts an email in your Gmail to PDF format and sends it to storage on your Google Drive. This can be useful if you have business or legal correspondence that should be archived as PDFs so that they can be easily printed out and/or shared with others on your team. To do this, open the email message in Gmail. Click the “Save to” button on the toolbar above your email and choose “Save to Google Drive” from the drop-down menu. You’ll be shown a window listing the folders in your Google Drive; select the one where you want to store the PDF of your email and any file attachments it has. Save Emails to Google Drive converts Gmail messages to PDF format and stores them in Google Drive. This extension also works from the main page of your Gmail user account. Select one or more emails from here, and then click the “Download as PDF” icon on the toolbar above the email subject headings. A drop-down menu will let you save all the emails you selected as separate PDFs, merge them together into one PDF, or save only the attachments these emails may have. The PDFs created, and any attachments in these emails, will be saved to a folder that you choose in your Google Drive. CloudHQ uses its own server to pull off this task. (See the company’s security policies.) You can convert and save up to 100 of your Gmail emails per month for free. You’ll need to pay for a Premium plan at $49 per year to convert and save an unlimited number of emails. BrowserNative’s Open with Google Drive Viewer is handy for viewing documents and other files that are on the web without downloading them to your computer. By right-clicking the direct link to the document and picking "Open with Google Drive Viewer" from the menu that opens, this extension will load it into Google Drive’s online file viewer app, which supports Microsoft Office formats (.doc/.docx, .ppt/.pptx, .xls/.xlsx) as well as .txt and .zip files, PDFs, Adobe Photoshop (.psd) files and more. You can't edit the document with this extension, but you can save it to your Google Drive. Once DriveCast is installed and your computer is linked to your Chromecast device, click the DriveCast icon on the Chrome toolbar. It will open a new tab that lists alphabetically the folders in your Google Drive. Click to open the folder where the media file you want to cast is stored in; find the file and click it. In the small panel that opens below the URL address box, be sure to select “DriveCast” as the casting source (not “tab” or “desktop”). Working on a big research project? Hyperbook Saver from Gurminder Singh can help you gather notes and images from the web. Right-click on a picture you find on the web, select "Save image to Drive" from the menu that opens, and the picture file will be stored in your Google Drive. It will appear in your Google Drive under the folder "Saved images," inside another folder with the name of the web page the image came from.